5 UTV Accessories for Camping Season | Intimidator Inc. The leaves are falling, the weather is cooling, it’s time for camping season! 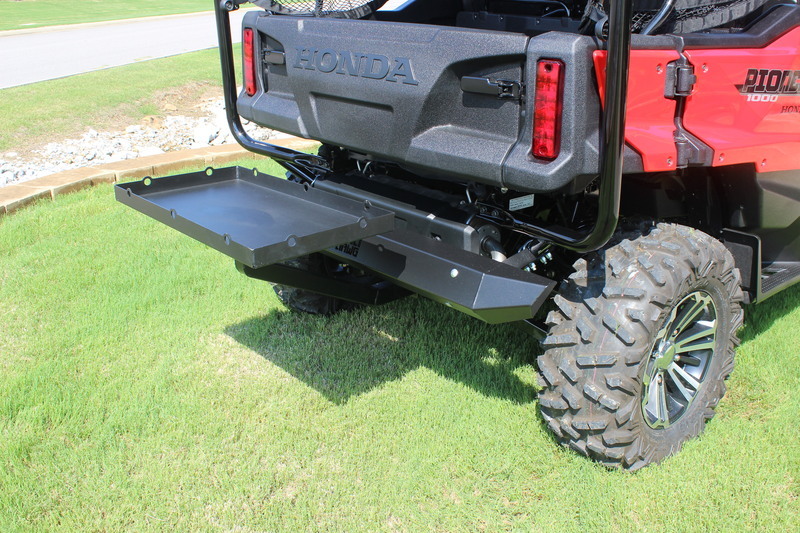 Having any Intimidator utility vehicle with you while you’re camping is great on its own, but when you add the right accessories to it, you can build it up to be the PERFECT camp companion customized to your needs. 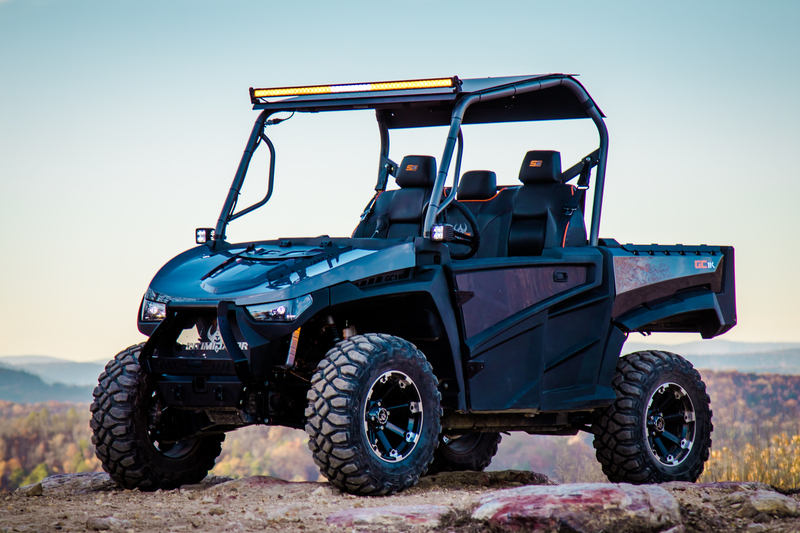 Whether you’re hunting, fishing, trail riding, or working on the land, there is a UTV and an add-on out there for you. We found these 5 accessories to be the most useful in order to get your side by side in shape to be the best multipurpose tool for your camping adventures! Camping comes with a lot of gear, and nobody likes carrying all that stuff around. Getting the proper amount of storage on your side by side makes life so much easier. You’ve got coolers, guns, ammo, sleeping bags, tents, kitchen gear, the list goes on. If you’ve really got a lot of stuff, our Intimidator Truck Series UTVs have by far the most space for loading your things. The truck bed can even fold down into a flatbed that can hold up to 1,200 lbs! 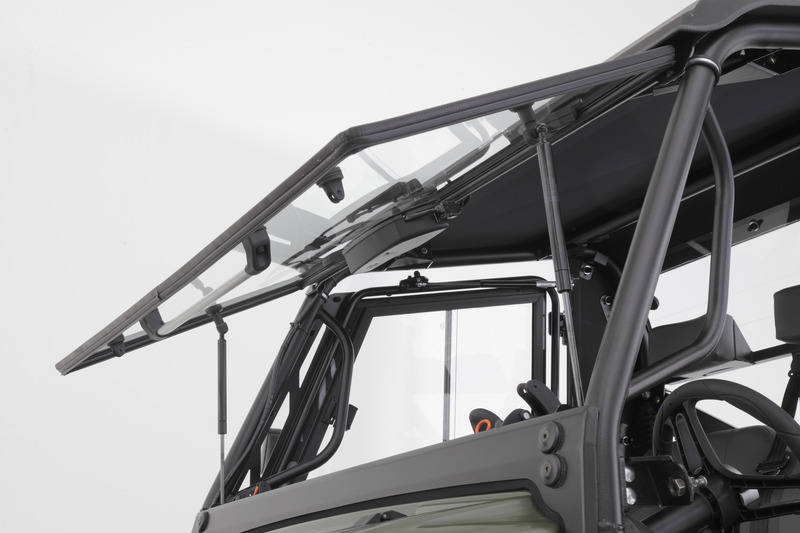 However, if you have a smaller model, like some of our Classic Series side by sides, there are storage options to add on in a variety of different ways: roof racks, rear cargo racks, toolboxes, and under seat storage. Decide what’s best for you and stack it on so you can get to even the most remote camping spots! Some people prefer the quiet sounds of nature, birds chirping, the leaves rustling… all that jazz. But what kind of camping experience is it without a little music?! Especially if you’re with a larger group of people, adding a waterproof Bluetooth speaker bar to your Crew Cab UTV really takes it to the next level. You can fit up to 6 people so you can bring the whole family along or all your best buddies. Jam out with them while you’re riding around, or you can play some tunes as you set up camp and get to cookin’. Whether you’re in the mood for some classic rock or country music, you can connect with your phone to play whatever you feel like- rain or shine. One thing you will love is adding a LED light bar to any of our utility vehicles. This enables you to do some night riding in the woods and test your driving skills (especially going FAST in the GC1K Series), but it also comes in handy when you need some extra light at your camp! Sometimes a little lantern just won’t do it. Why spend all that money on propane when you can brighten up your campsite by pointing your UTV lights over? It’s frustrating when you’re cooking and you can’t see… then all bugs are attracted to your lantern and flying in your face on top of it! Get that light bar pointed at you while you’re accomplishing what you need to, and then turn it off for some good ‘ole campfire lighting. Then maybe go for that night ride! Camping is always best when the temperature has dropped, the bugs are dying, and you get to warm up by the campfire. However, when you’re riding around in your utility vehicle with no wind protection, it gets a little cold! Add in a front window to block the wind and stay warm while you adventure around. You can even add windshield wipers if you get into some bad weather. Another great camping accessory is your gun! It’s always best to be protected and prepared for the unexpected, but it’s even better just to shoot it for fun. You always want to practice good gun safety, and one way to do that is to add a gun rack for easy transport. This helps keep your gun easily accessible, but also safe and secure instead of bouncing all over the road. 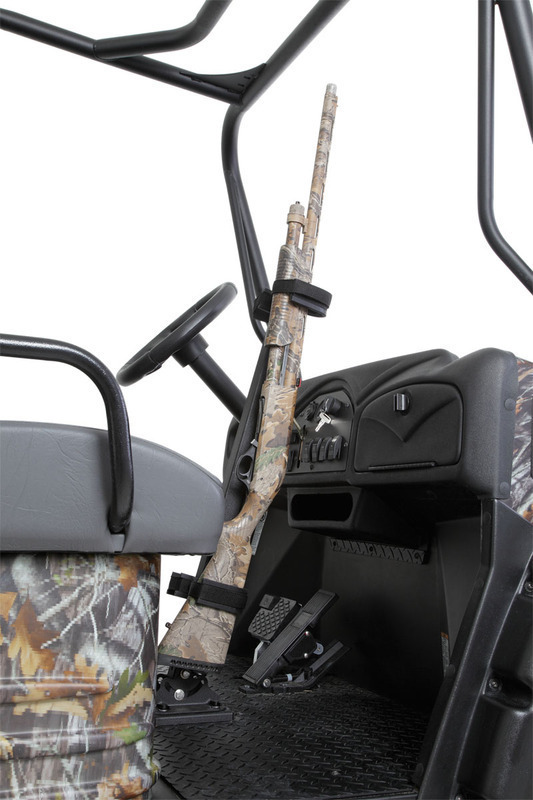 There are options to carry two or four guns, so you can decide how many you need or there’s also an option for floor racks or behind the cab window to best utilize the leg room inside the cab, especially if you’re in one of the smaller Classic Series. Regardless, there’s a gun rack to meet your needs. Making your utility vehicle the best multi-use tool you can makes the most out of your investment. These accessories really help to create the best vehicle for your needs and help turn your UTV into the best camping companion. Get out there and enjoy the beauty of nature and all the adventures it provides for you! Visit our ACCESSORIES page on the site to browse other ideas for things you might find useful to add onto your side by side.